For this week’s One Word Photo Challenge, the theme is WIND! 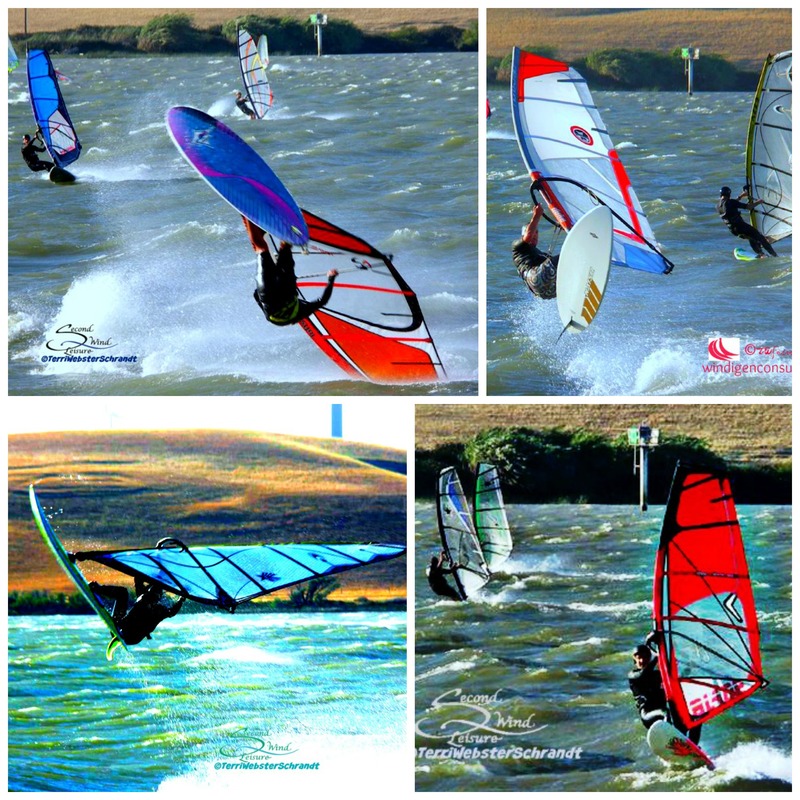 No self-respecting windsurfer would be without a plethora of photos of the sport! I am going to dial it back and give you this one shot… in a collage. I went out earlier when the wind was blowing about 30 mph. First time on a smaller board and I was overpowered. Wind like this brings out the pros perfecting their loops and jumps. Most of the ladies gave up while the guys borrowed their smallest sails…and the wind just kept blowing! Join Jennifer Nichole Wells’ weekly photo challenge any time! Wow Terri, I am definitely impressed! Thanks for joining the #funsummerfinds linkup! thank you! I wouldn’t have made the cut in that group of photos…too much wind for me! Sensational! You can see the force of the wind in your pictures. I hope you still had a good time. Thank you!! My time on the water was short and sweet!! Nice. Looks like loads of fun! That looks extreme and cool. Nice collage. Wow. Great collage. Makes me want to go to the airport…. Thank you (I’ll tell my friend). I really need to dust off my camera… I’m lucky to see this up close and personal!